WASHINGTON (Reuters) - Billionaire investor Warren Buffett defended the stock market's strength and raised doubts about President-elect Donald Trump's trade agenda in a CNN interview broadcast on Friday, just days after the U.S. election. Buffett, a vocal critic of Trump, endorsed Democrat Hillary Clinton during her failed bid for the White House. Her husband, former President Bill Clinton, implemented the North American Free Trade Agreement in 1994. "The stock market will be higher 10, 20, 30 years from now, and it would have been with Hillary, and it ... will be with Trump," said Buffett, who is chairman of Berkshire Hathaway Inc (BRKa.N). 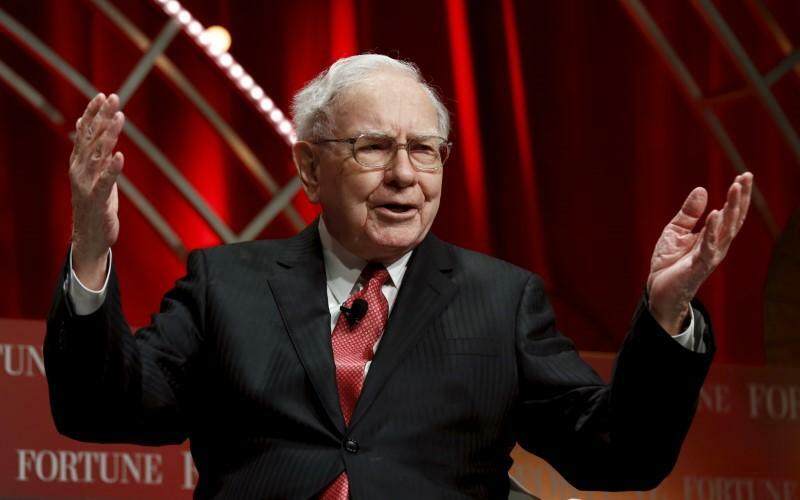 Asked if he felt optimistic about the United States, Buffett added: "100 percent. ... The market system works. It doesn't work for everybody. It works in aggregate." Buffett played down the chances that Trump would carry out a campaign promise to scrap NAFTA, the U.S. trade deal with Canada and Mexico. "He has to go through the House and the Senate," Buffett said. "He has to get support on it. "There are a lot of things said in campaigns that don't happen after the election." Buffett said Trump's proposal to impose 35 percent tariffs on goods from China and Mexico was a bad idea, "but I'm not going to say it will cause a recession." Trade helps society as a whole, Buffett said, but its benefits are "very diffuse." "I may buy the socks I have, the underwear I have, a few cents cheaper because of the comparative advantage of some other country in producing it," he said. "But ... every time I go to Walmart and buy them, I don't say, 'Thank God for free trade.'" During a campaign rally with Clinton in his home state of Nebraska in August, Buffett challenged Trump to release his tax returns and questioned the New York real estate developer's business acumen. In the CNN interview, Buffett repeated some of the criticism, saying Trump has had some major business failures, but was "very good at licensing, and he was very good at things that involve promotion of his name." Business ability, however, is not a prerequisite for a good president, said Buffett, who built Berkshire into a conglomerate with about 90 running businesses and investments in dozens of companies. "Harry Truman went broke at a haberdashery store ...," Buffett said. "But he turned out to be a terrific president."